DC Beer Week is perfectly timed with a DC Brew’s Birthday. This Friday, August 17th, come out to Penn Social and celebrate the One-Year Anniversary of DC’s very own Chocolate City Brewery. 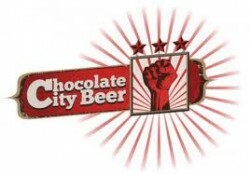 $5 Pints will be available from Chocolate City. DJ Benny C will be spinning tunes all night long. Come out, play some games, eat some food, and have some fun with Chocolate City. Hey, it’s a Birthday Party!